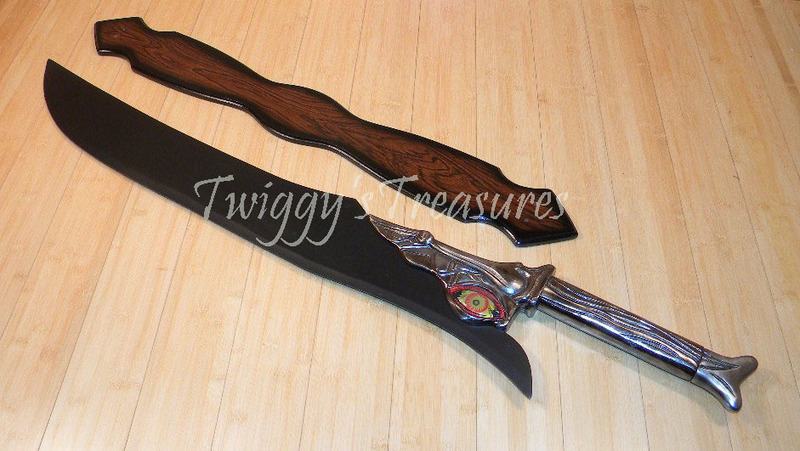 This sword was designed to resemble the Soul Edge sword from the video game Soul Calibur. In the game, Soul Edge is the evil sword yielded by Nightmare, who is plundering Europe slaughtering souls in order to gain power for the weakened sword. 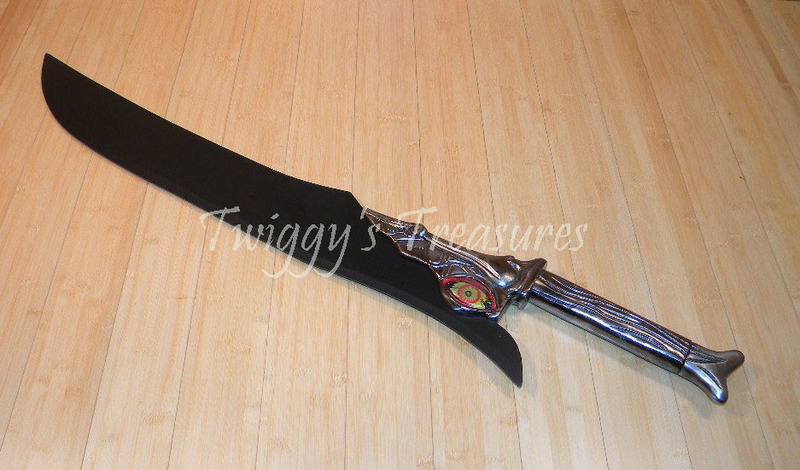 This replica sword boasts an all-metal handle, which features a red eye decoration. The overall length of the sword is 45 1/2", with a blade length of 37". ▪ Overall Length: 45 1/2"